The latest iteration of Bluetooth technology is designed to reduce power consumption. Version 4.0 of the Bluetooth Core Specification comes shortly after the faster 3.0 spec, which was announced back in April of this year. However, unlike 3.0's speed-centric hallmark, the updated 4.0 spec is aimed mainly at consuming less power. The updated low-energy specification will open new markets for devices that require both "low cost and low power wireless connectivity" according to the Bluetooth SIG, and that "healthcare, sports and fitness, security and home entertainment" businesses will benefit considerably due to the wider availability of products making use of the now cheaper, more attractive, Bluetooth technology. Version 4.0's has lower peak, average, and idle power modes, and can run on a standard coin-cell battery for several years. If the reduced power consumption wasn't enough, the revised spec also provides full AES-128 encryption and supports sending small data packets at a transfer speed of up-to 1Mbps. There will be two variants of the updated standard: a single-mode and dual-mode implementation. Dual-mode will integrate the new low energy functionality into existing Bluetooth controllers, whereas the single-mode variation, which the SIG says is best-suited for more compact devices, will use a "lightweight Link Layer" to achieve this ultra-low-power idle mode. 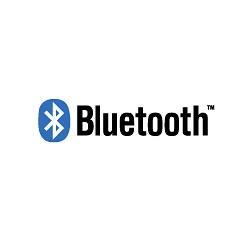 The first set of products to make use of the updated Bluetooth standard should arrive in early 2010. Michael Foley, SIG's executive director, is already encouraging manufactures to make use of the new standard, and said that, "with today's announcement the race is on for product designers to be the first to market."